Join Molly and Sara each week as they take you on a journey to self-discovery. Listen as they share life experiences and intuitive guidance that have allowed them to spiritually awaken. Spark a rebirth of movement in your life by using their self-help tools, including guided journaling exercises, meditations and classes. Speak directly to your soul to reveal your most authentic self and unlock your highest potential. 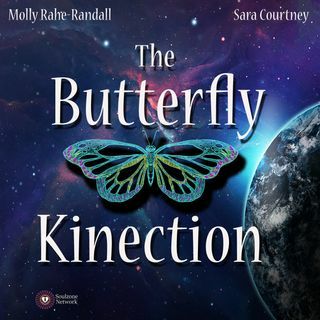 Welcome to the Butterfly Kinection, where the kinetics of your soul will give ... See More you wings to fly.